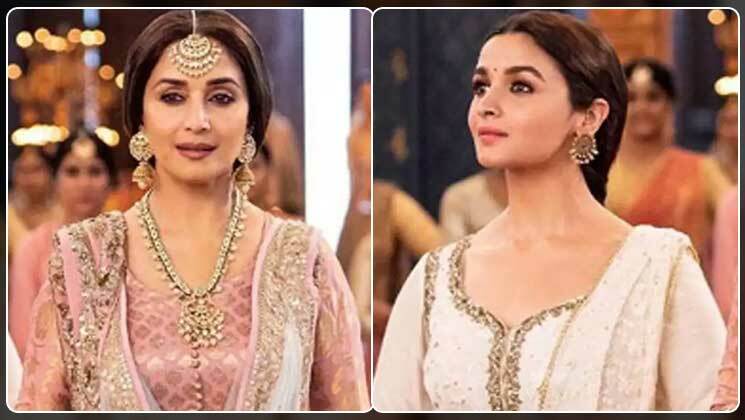 Ever since the teaser of ‘Kalank’ was released, fans can’t wait to see the grand film on the big screen. The Abhishek Varman directorial boasts of a stellar cast including the likes of Madhuri Dixit and Alia Bhatt. Recently, in an interview with DNA, Madhuri spoke about her fondness for Alia. “It was wonderful to work with Alia. She has amazing energy; she reminds me so much of myself. She’s so professional, always on time, doing her job well and just wants to finish and go home. Alia comes with absolutely no baggage and that’s a wonderful trait. What a brilliant actress she is! I don’t think we have seen someone as terrific as her in a long time. The choices she’s making are so powerful and meaningful. Alia has definitely changed the whole ball game,” she was quoted as saying by the daily. ‘Kalank’ is all set to hit theatres on 17th April, 2019 and we can’t wait.